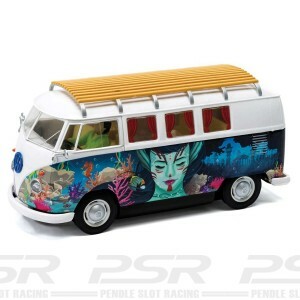 SuperSlot VW Campervan T1b in Hippie-inspired psychedelic livery. 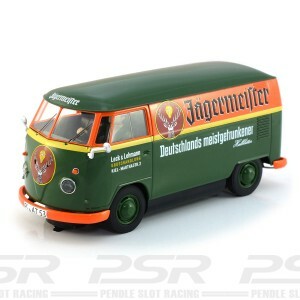 Scalextric Volkswagen Campervan T1b Hippie. Supplied in the SuperSlot brand box with spare pick-up braids. 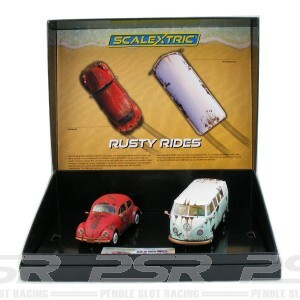 In Spain, Hornby Scalextric is marketed under the brand Superslot, as the Scalextric brand is owned there by SCX.